On view in the exhibition Less = More are origami works by designers, authors and paper artists Michael G. LaFosse and Richard L. Alexander. Best known for their folded fine art of plants and animals, they have collaborated since 1988 as Origamido Studio, and have exhibited their work at such venues as the Cape Cod Museum of Natural History, the Peabody Essex Museum, and the Carrousel du Louvre in Paris. They share their techniques in workshops at schools and libraries across the U.S. As part of Less = More, LaFosse and Alexandeer bring Origamido Studios to Spalding House classrooms for a series of exciting workshops that take origami to the next level. Today we hold three different workshops. Learn several basic, fun folds and techniques used to generate an infinite number of simple forms and shapes. Perfect for decorating greeting cards, scrapbooking, or as holiday ornaments. The possibilities are endless. If you can confidently fold the traditional Japanese peace crane from memory, now learn some original Origamido Studio favorite creations to expand your origami repertoire. 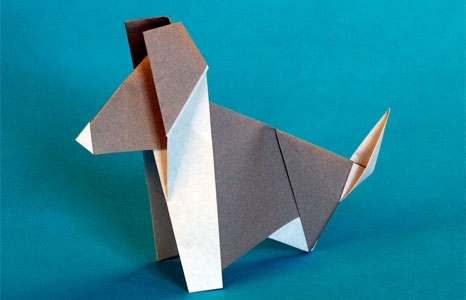 Take your origami skills even further by learning basic wet-folding tips and techniques. Learn how the judicious use of moisture allows you to artfully shape simple origami flowers, animals, and dollar bill folds.